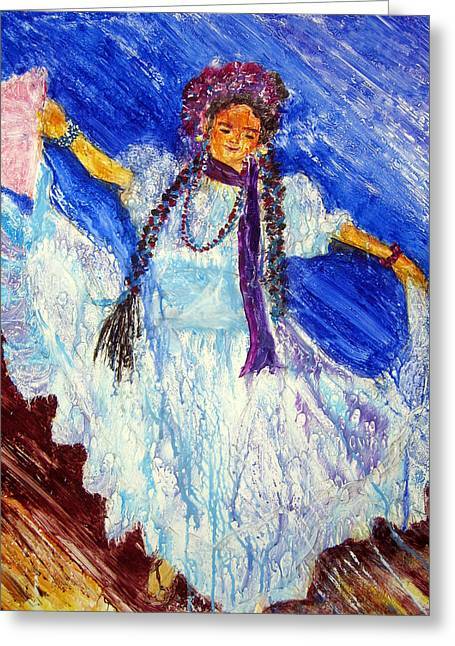 Dancing Free is a painting by Sarah Hornsby which was uploaded on July 16th, 2010. 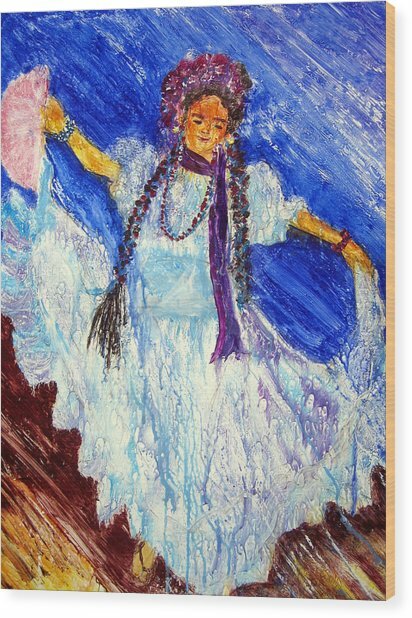 I painted this in a class taught by Patt Odom at John C. Campbell Folk School. 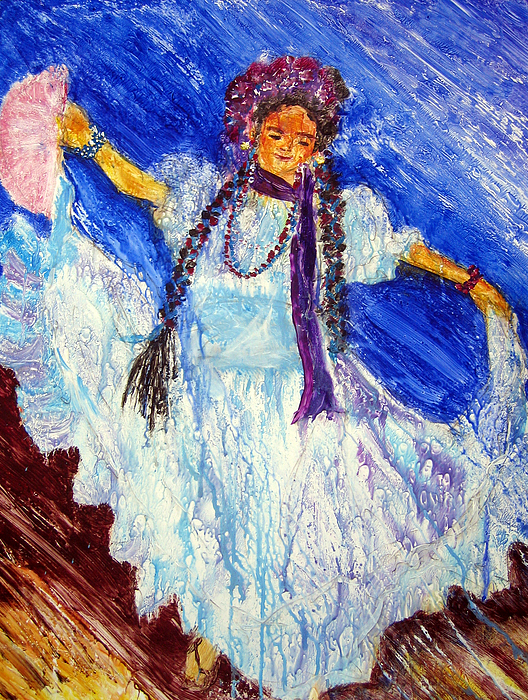 The Dancer is portrayed using the flowing technique of Acrylics on Yupo paper. 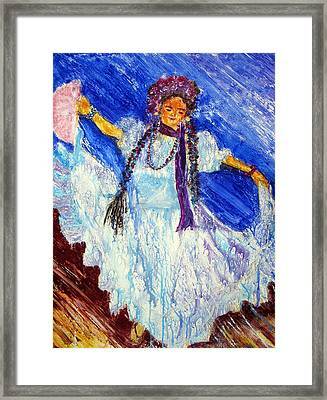 Dawn detergent with a watery base makes the bubbly texture and intermingling of colors to show the fluid movements of the Nicaragua folk dancer. Typical are the long braids interwoven with ribbons, flowers adorning the hair, scarf and necklaces and bracelets, full skirts that are moved like flowers dancing in the wind, and the fan, gift of the Spanish gentleman to his Indian maiden. Such joy is expressed in the dance. I wrote the following poem. ....................................................SING THE FRUIT OF THE SPIRIT! KIND Spirit in the midst of fury. 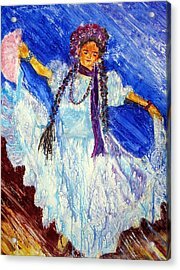 PERSERVERING Spirit at the ages� dying. PENETRATING Spirit in midst of superficiality. Be Filled and comforted with Delight. So many Joys tempered by the Grief. Delight in Me covers a multitude of sins. There are no comments for Dancing Free. Click here to post the first comment.